This is a colossal public art piece by Shanghai artist Zhang Huang who has quite a following globally - there's lot of his work to view online. 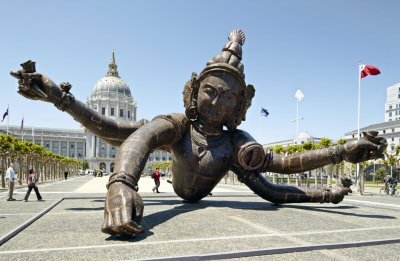 The sculpture here is all copper, 26 tons, 26 plus feet high 23 feet wide. 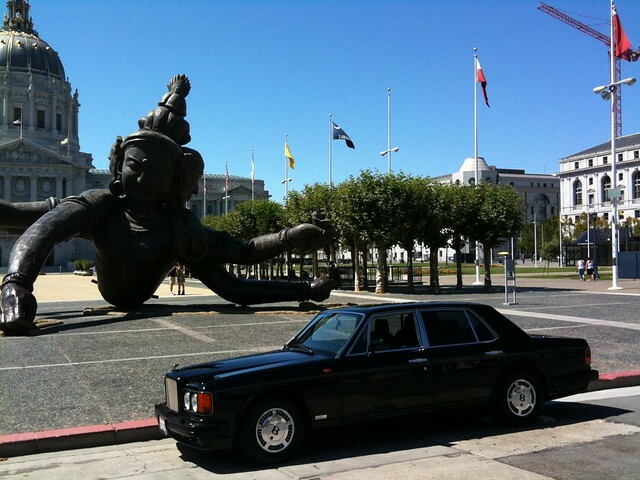 Our guest spotter Greg couldn't resist in taking a shot of this Turbo R with the 'Three Head Six Arm Buddha' at the San Francisco Civic Center with City Hall as backdrop. 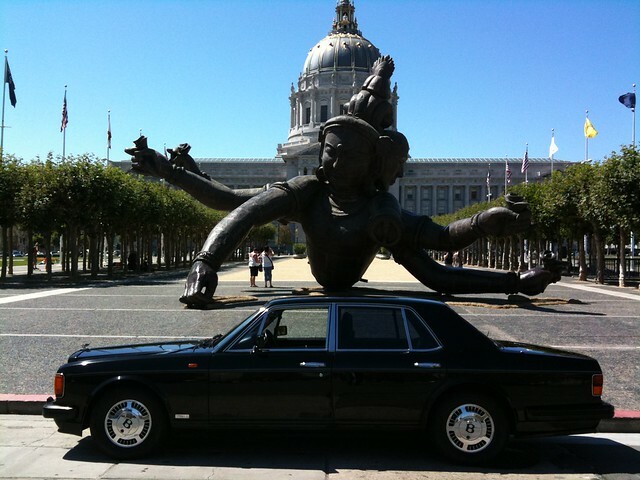 "A very powerful and an extraordinary art installation juxtaposed with the powerful all black motorcar."